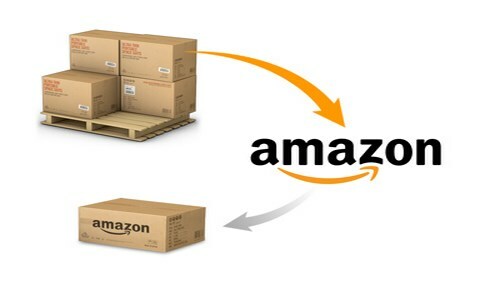 Amazon Vs. Google: The Growing Influence of e-Commerce - Fuze, SEO Inc.
1 Amazon: The “Next Google”? In a recent speech delivered at the Berlin headquarters for Native Instruments, Google’s executive chairman, Eric Schmidt, stated that when it comes to competition, Amazon represents the biggest threat to the search engine. “Many people think our main competition is Bing or Yahoo. But, really, our biggest search competitor is Amazon,” said Schmidt. His statement came in response to accusations* that Google has become a monopoly by dominating the search market. According to NetMarketShare, Google leads the global search marketplace with approximately 58% of all worldwide searches. While this is hardly a monopoly, it’s substantially more than Bing or Yahoo’s 8.10% and 4.01%, respectively, and still far ahead of the first runner-up, Baidu, which accounts for 29.06% of global searches. Compared to other search engines, Google does enjoy a level of dominance. So, why is Google weary of Amazon’s growing influence? How do e-commerce sites constitute a viable threat to search engines? In this regard, Amazon becomes its own “e-commerce search engine.” Rather than searching for products on Google, people are increasingly going directly to Amazon to find what they’re looking for. Google becomes the unnecessary middle man, and thus they experience losses. The number of searches decreases as users look elsewhere for products, as does ad revenue. People searching on Amazon do not see the same paid advertisements they see in Google search results, so Google is losing money on clicks. Google is still a major player in the search market, but these trends prove that Amazon has gained enough traction to become a significant threat in the e-commerce market. According to Schmidt, “Research by the Forrester group found that last year almost a third of people looking to buy something started on Amazon — that’s more than twice the number who went straight to Google.” Add to this the fact that listings on Google Shopping are paid listings, and the numbers speak for themselves: users are searching for products where they know they can find exactly what they’re looking for. Amazon continues to grow. In 2012, The New York Times reported that product searches on Amazon grew by a whopping 73% in just one year. It is the world’s largest e-commerce site, and its efforts to diversify its product offerings — with ebooks, streaming services, and mobile devices — suggests this growth will continue in other verticals. Google has attempted to recapture its share of that audience and stay abreast of the competition. They’ve recently expanded Google Express (an expedited delivery service in the vein of Amazon Prime) to more cities in the hopes of keeping users on Google Shopping. They’ve also revamped their product listing ads to be more dynamic and engaging. Now, when users search for products, they are taken to an Amazon-like “digital showroom” where they can browse directly on Google. The assumption that Google would be eclipsed by another search engine is something many SEOs have fallen into. Moz argues that SEOs are actually ignoring Amazon altogether, and missing out on important opportunities. Ranking well on search is one thing, but ranking well on e-commerce sites is another entirely. In short, if there’s something that makes Google take notice, it’s something we should pay attention to. *The accusations made against Google are part of a larger anti-trust investigation launched by the European Commission in 2010 to determine whether or not Google holds a monopoly over Internet and Mobile Search. The investigation has taken four years, and the ruling is forthcoming. Tagged Amazon, e-commerce, google, Google competitors, Product Listings.